While Conor McGregor has thanked the Nevada Athletic Commission following his UFC 229 case being settled, UFC lightweight champion Khabib Nurmagomedov has been left fuming. 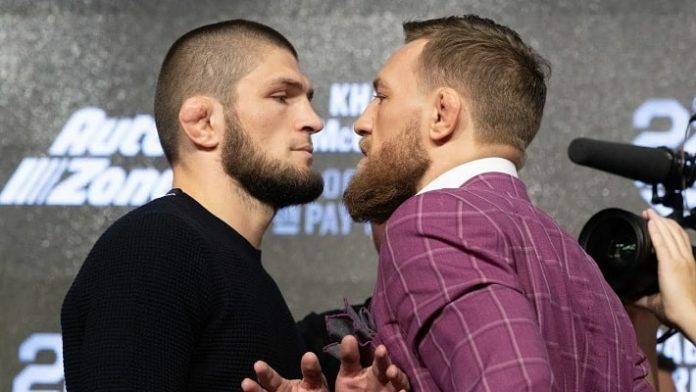 As odd as it seems in a case where a settlement was agreed upon, Khabib Nurmagomedov seems none too happy with the Nevada State Athletic Commission. Khabib’s fate was learned Tuesday, and the UFC’s lightweight champion, who came dangerously close to sparking a riot at UFC 229, will fork over $500,000 to the commission, and sit out up to nine months for his actions. That suspension can be reduced to six months with an anti-bullying PSA, should Nurmagomedov choose to cooperate. After writing “politics forever” on his official Twitter account, he then retweeted an image of McGregor tapping in their fight at UFC 229. Fair enough. Despite agreeing to the punishment, with the settlement being worked out in advance, Khabib did receive the harsher deal. McGregor saw just a $50,000 fine for his own actions after the commission pointed out he was attacked on all sides during the fight, despite throwing first against Abubakar Nurmagomedov. By that point, however, Khabib had already attacked McGregor’s teammate Dillon Danis. Speaking of McGregor, the ‘Notorious’ Irish star posted his own response via Twitter Wednesday. McGregor then added that he looked forward to competing again soon. The former double-champion recently agreed to fight Cowboy Cerrone, following Cerrone’s dismantling of Alexander Hernandez at UFC Brooklyn. Whether that fight is one the UFC chooses to make, however, remains to be seen. With his six month suspension, McGregor can return to action as soon as April 6. Nurmagomedov could as well, should he go through with the public service announcement part of his settlement. However, it appears his participation may be in question. Nurmagomedov, who once made the dubious decision to pay homeless men to do push-ups on the street, humiliating them, isn’t exactly the socially conscious type. Further, per recent reports, Khabib intends to sit out a full year, not just his nine month suspension. He’s apparently furious that teammates Zubaira Tukhugov and Abubakar Nurmagomedov were suspended a year each. So any benefit Khabib would take from the PSA would then be lost. Per the champion’s manager, he is also done fighting in Nevada. A return date in New York at Madison Square Garden is a possibility.